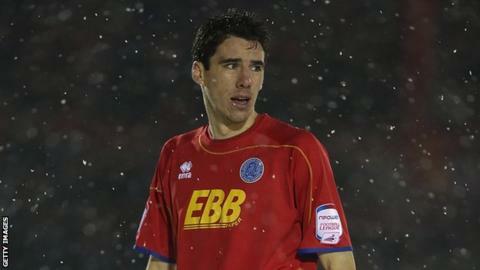 Aldershot midfielder Peter Vincenti expects the club to pull clear of the League Two relegation zone. The Shots slipped into the bottom two after their 2-1 defeat at home to fellow strugglers Plymouth on Saturday. Vincenti told BBC Surrey: "We've done well in recent weeks and we've got to make sure confidence stays high. "The desire and commitment is there. We just need the quality we have shown in flashes in games and bring it all together, then we'll be fine." Despite dropping into the relegation zone the EBB Stadium outfit, who travel to Morecambe on Tuesday night, are only one point from safety. "Going into the Plymouth game, we knew it was a big game and you need to take points off the teams in and around you," the 26-year-old added. "We failed to do that. We have got to learn from it and bounce back. We know that if we are on our game we can match anybody. "There are still plenty of games left and plenty of points to play for - every game is massive for us."